Natural, Electro Tinned, Nickel, Chrome, Led, Silver, Gold, Zinc Blue etc. 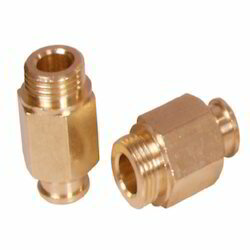 Brass Terminals are used mostly in Metering Industries. They are in form of Current Terminals, Potential Terminals Voltage Terminals etc. Single Phase 3 phase energy meters needs high quality Terminals for superior conductivity résistance to corrosion. Variety of terminals can be produced as per custom design specifications. Available as per the customers Specifications and design. Any kind of brass current terminals and potential terminals can be developed and supplied exactly as per customer drawings & specifications. 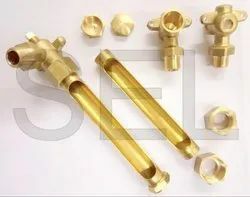 High Quality Customized Turned Parts with great precision Accuracy can be made very effectively by our CNC Machines in Metals like Brass, Stainless steel Mild Steel. Lead Free Brass 63/37, 70/30 etc., as per Customer requirements. 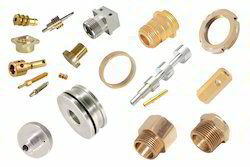 Our company has earned reputable niche in this market of brass products for manufacturing and exporting a high end quality range of Brass Proximity Sensor. 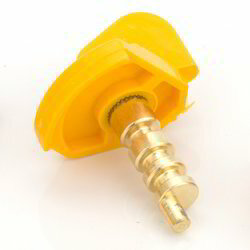 These proximity sensors are widely used for liquid level distance measurements. Made out of high quality brass metal sourced from the trusted market sources, these sensors are offered in varied technical specifications to our clients. 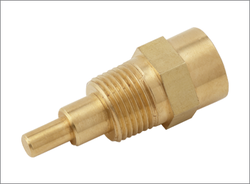 We are offering this Brass Proximity Sensor to our clients at the market leading prices. 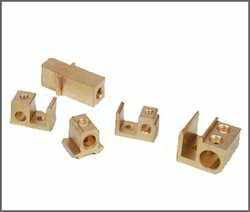 Any kind of brass Sensor components can be developed and supplied exactly as per customer drawings specifications. High Quality Customized Brass Oil Liquid Level Indicator with great precision Accuracy can be made very effectively by our CNC Machines.